Celebrate the Fourth of July from the comfort of your living room watching a live-stream of the Magic Kingdom’s fireworks! 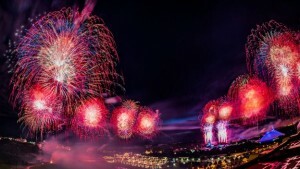 The Disney Parks Blog will live stream “Disney’s Celebrate America! A Fourth of July Concert in the Sky” from the Magic Kingdom starting at 9:1o p.m. on July 4. All you need to do is visit the Disney Parks Blog to watch the show! Disney is also asking guests to share their favorite Disney vacation photos for a chance to have them shared before or after the live stream. To have your photo considered, share it with Disney on Twitter with the hashtag #DisneyParksLIVE.